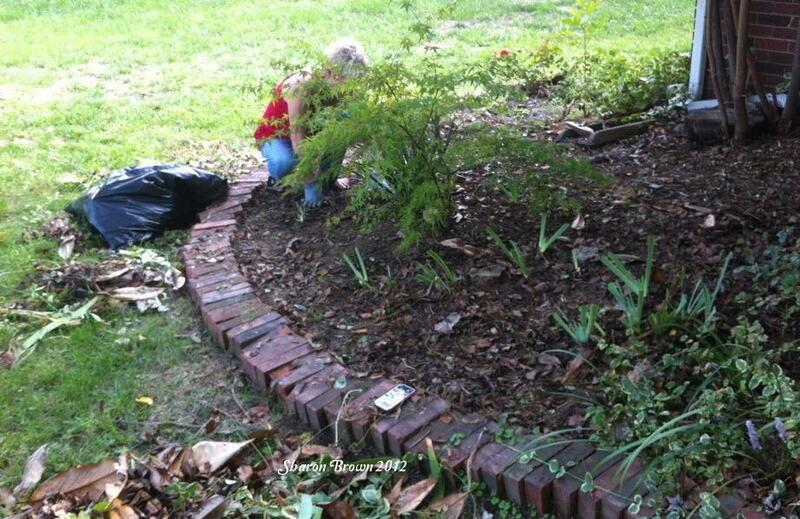 Did you ever think about giving your gardens a total makeover? 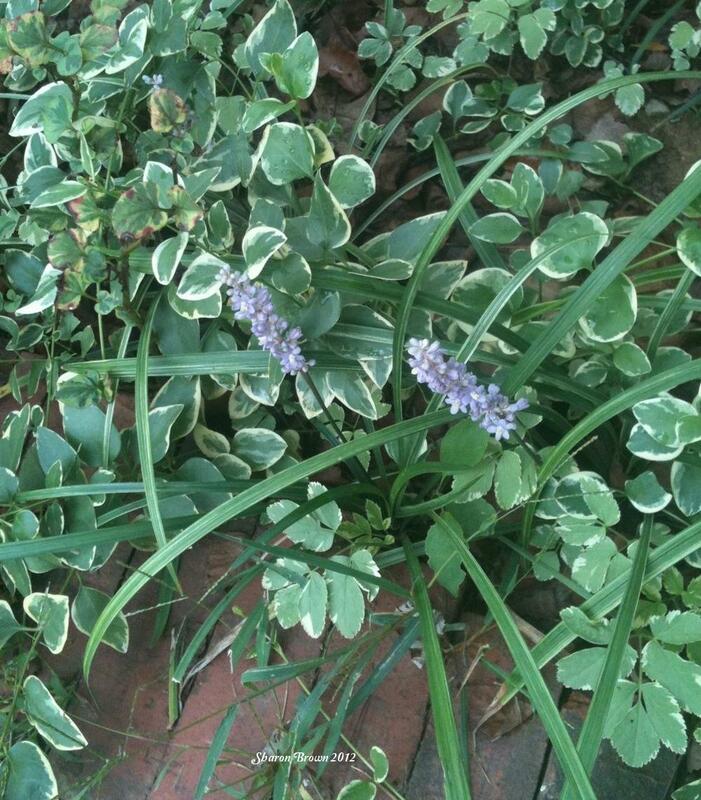 My newest garden is probably ten years old and over the years it has had additions randomly tucked in here and there. I've been thinking about a change and I think I'll start with white. How about a Moon Garden where an old patchwork garden used to be? 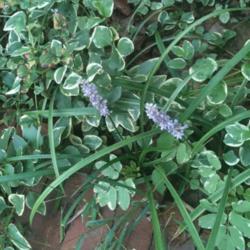 "A moon garden is a series of plantings whose, color, texture, sound, and scent can be appreciated starting in the evening and into the night." That's the definition I found somewhere and I thought how soothingly beautiful it sounded. I'm going to take you on a rambling journey in this article. I have to warn you, when I'm redesigning something, my mind travels all over the place. This is one of those times. I have a white garden, though I have never really been a white flower person. 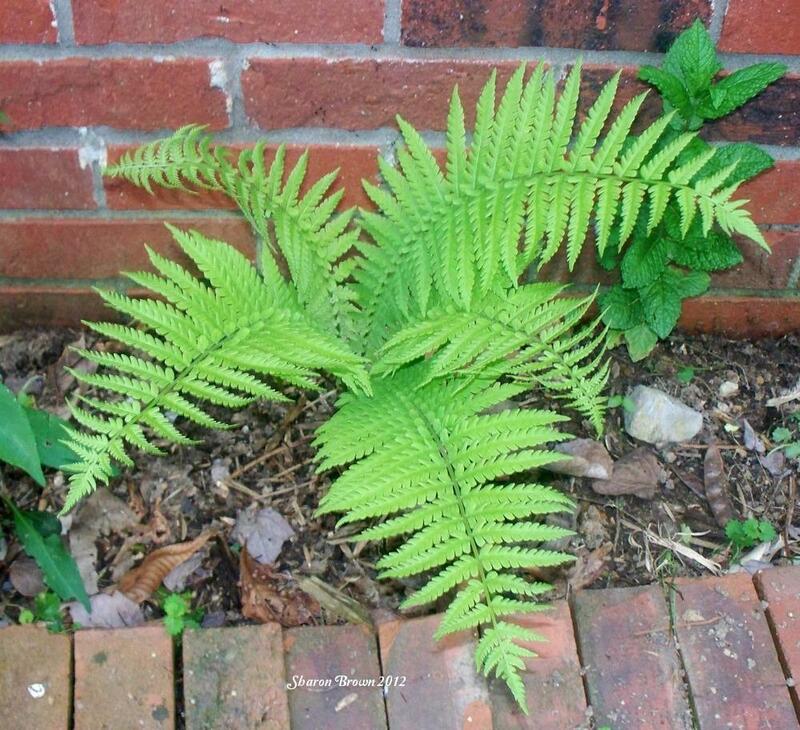 It was mostly planted for the foliage. I planted it years ago at a time when a huge oak tree provided its shade. It took care of itself until the neighbor got rid of the oak tree and now some plants have thrived in the extra sun while others have died in it. Even though the soil in the area (the east end of my house) is kept somewhat moist by an underground spring that runs down the hill beside it, this summer's heat and drought just nearly destroyed the white garden. It didn't know whether to grow or wilt or die and it is a real mess. It runs down the side of the house and then curves into the patchwork garden in front, which is also a real mess. It's way past time for a change. In case you aren't familiar with a patchwork garden, it's my term for those plants that ended up planted there for lack of planning. 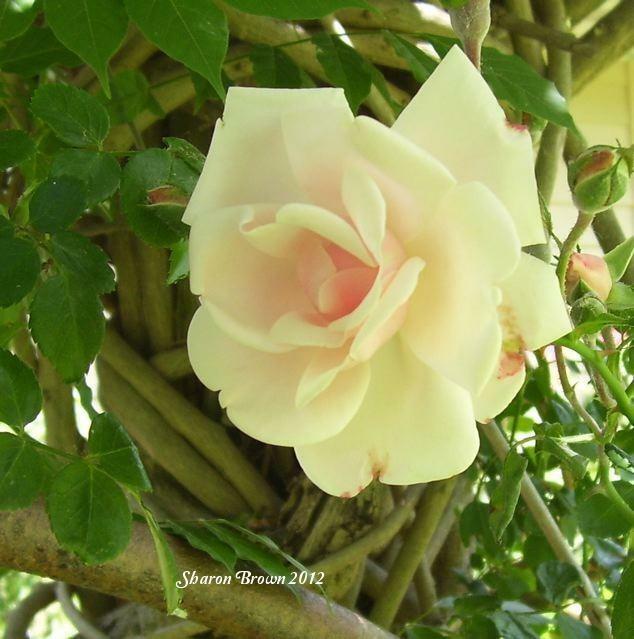 My friends will sometimes give me a plant that they think I really need and if it comes as a surprise to me, then it goes in the patchwork garden until I've prepared a better home for it. Sometimes it lives in the patchwork garden for years if it seems happy there. While creating a moon garden, I'll be forced to find better homes for those patchwork plants. 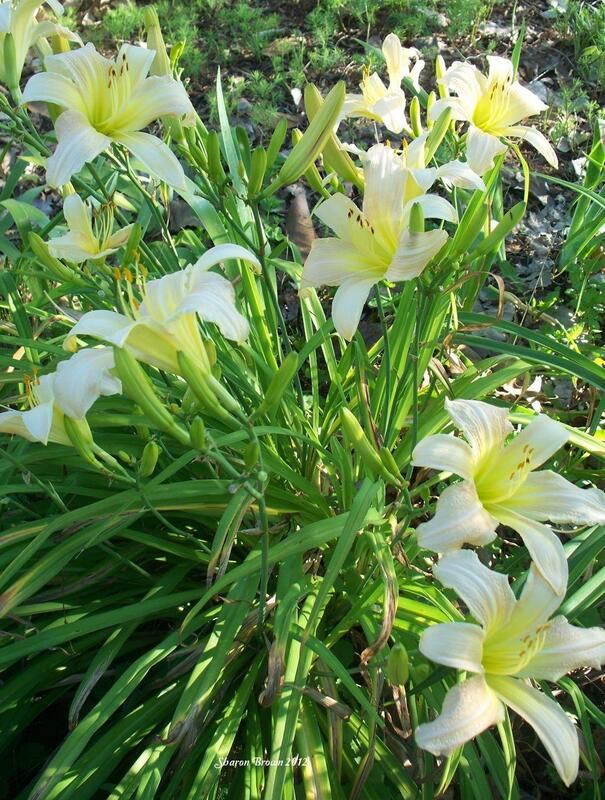 I started the white side garden with hosta, a beauty with variegated leaves streaked loudly with white, a gorgeous caladium, then I added Russian sage and some low growing lily turf, Liriope muscari, a few white iris and at one time I had white tulips. Chameleon grows there with its tiny white blooms as does an old plant I brought from the mountains, Bishop's weed, (serious mistake) which thrives in drought and neglect, and there were times when I added a pot of white petunias. 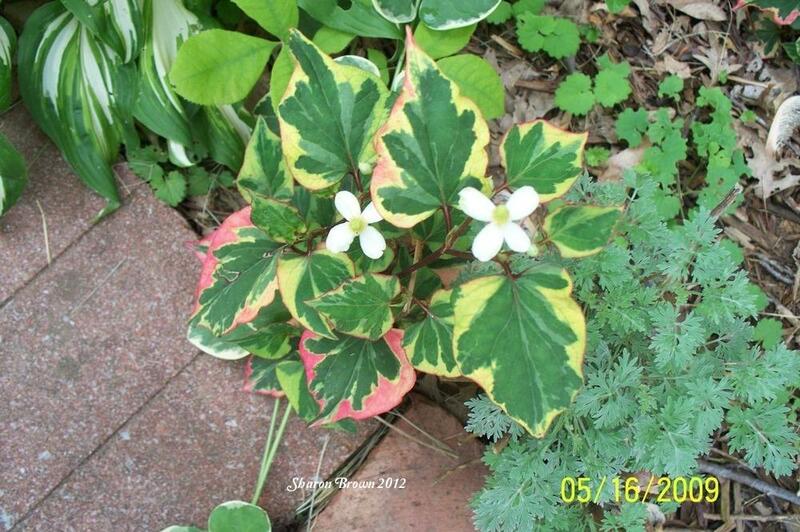 Just for the fun of it years ago, I planted a sprig or two of variegated vinca vine. Dumb move, second only to Bishop's weed. This year it's still a white garden but all I can see of it at the moment is the vinca and and Bishop's weed with a little Russian sage. Everything else succumbed to the heat and drought. So I want to start over and create a Moon Garden. I also want to bring it forward so that it becomes the focal point on the east front of my house. That means a total makeover. 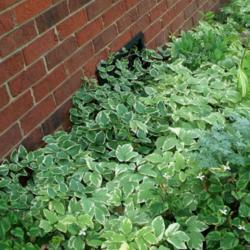 Moving it will give it morning sun and dappled sunlight in the afternoons. I also want to use only the plants that I have on hand, without making another plant purchase. The old white garden will get a good thinning, but I'll leave some vinca and Bishop's weed behind, they make a good edging for the foundation of my house. They grow well enough alone, too well in fact, but I'll add more plants and a better design to the front to form the Moon Garden. Perhaps I can design it to flow from the row of white edging into the informal curvature that I see in my mind for the front. 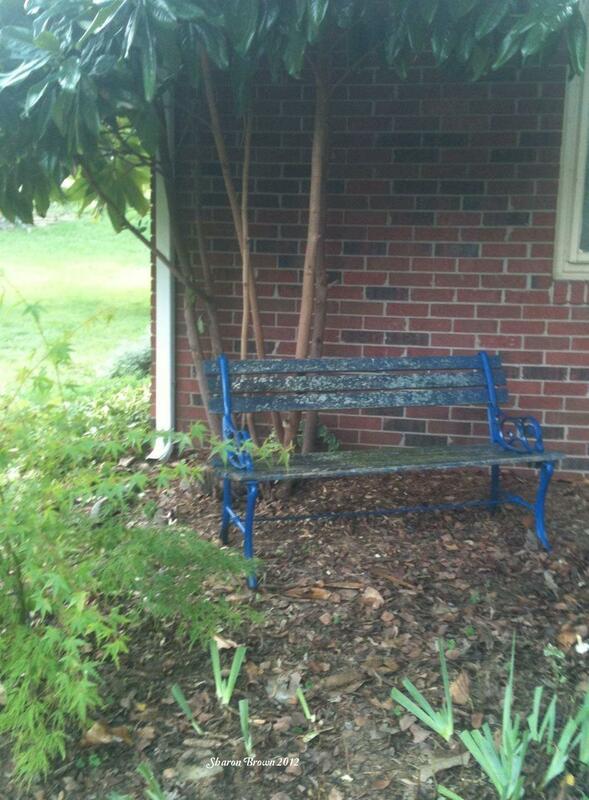 I plan to start with my old blue bench and work around it. 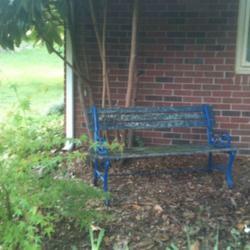 I guess I could paint it white, but blue is such a nice soothing color, I'm afraid a white bench would distract from the overall affect. It might get all the attention that should go to the plants. This was a good day for a garden makeover, I told myself when I rolled out of bed this morning. 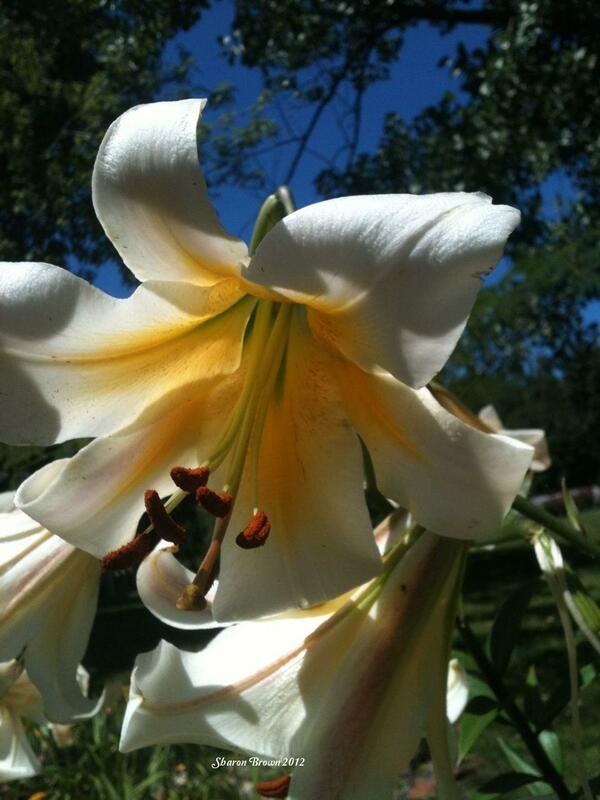 Two cups of coffee later and with only cell phone in hand, I wandered through my gardens. I'm so happy to have cell phones, mine allows me to record messages to myself, or to make notes to view later. Magic for people whose minds, like mine, ramble with the chirp of every bird. Of course nothing is blooming right now, here in the middle of a dry and heat burnt September, but I know in my mind what was blooming in any given spot back in May. I wanted a list of my white blooming or foliage plants, so I talked to myself on my phone. I don't talk with punctuation, so you are on your own if you attempt to translate. "Don't forget New Dawn and oh my gosh the white daffs and white daylilies iris is already there artemisia oh yeah from Ellen and here's a bit of Gramma's white striped grass Rose of Sharon oh no I don't need its height leave it alone but oh shoot what ate my opal basil oops! squashed slug on my shoe and creeping jenny in the roses Polly's lily and more hosta will you look at these gloriosas all rosy pink now . . ."
Told you my mind rambles, but I did get a list of my white plants that will be transplanted into the Moon Garden along with a few that won't. You will find the less rambling list at the end of this article. Links to our database for my white plants are with each plant named here in the text. 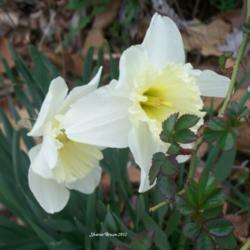 Fall is the best time for planting bulbs and for transplanting tubers. It's even a good time to think about sowing perennial seeds. 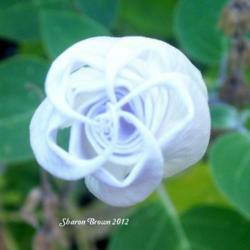 I have leftover seeds, some from a moonflower bush I planted in a container a few years ago. They can go in a container again for my new garden. 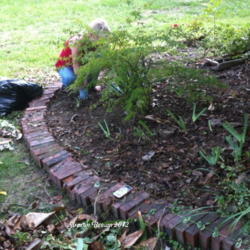 I already have in that end of the front garden a low growing very lacy cutleaf Japanese maple; it will remain where it is along with a few old heirloom irises. The old yuccas (Adam's needle) will have to go but maybe I'll save one just for the texture. "White digitalis, definitely. There's a new one, Pam's Choice Split, I love it! The night flowering nicotiana (alata). Spring things, white tulips, and daffodils. 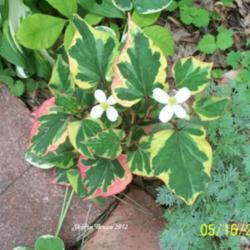 Caladiums with mostly white and a little green and some of the new hostas that have more white than green. White phlox. 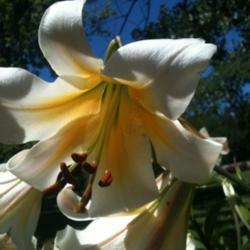 Fragrant white lilium. Jasmine and gardenia aren't hardy here." Ahhhh, scents. They aren't hardy here either, but I really need to think of scents. I looked to the old English white gardens, they seem to be popular there. I found that most were open and informal, but elegant and peaceful. 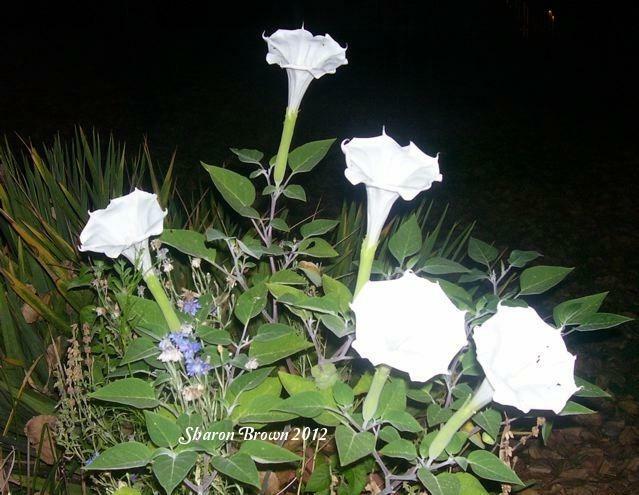 The white blooms weren't placed so much in clusters but were spread throughout the green areas of the garden so that with dark foliage behind them, the flowers glow in the light of the moon. Most looked very natural and some looked a bit cottage-y. 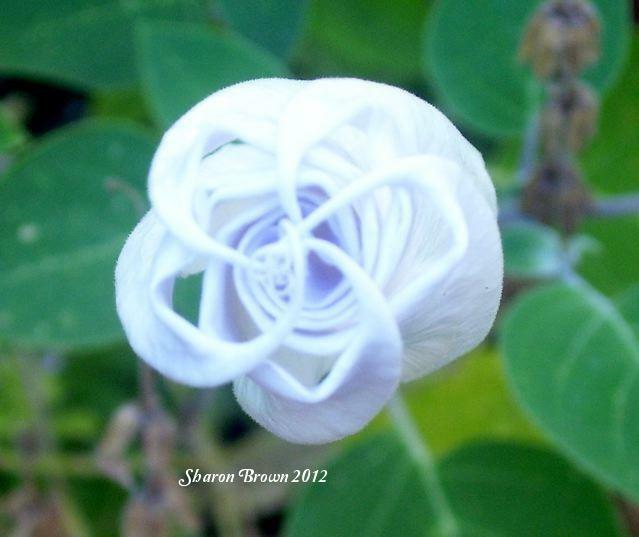 I saw moonflowers there, and of course I had them in my mind as well. 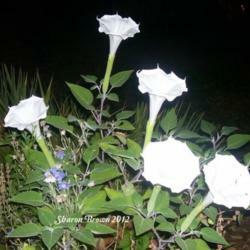 But there were also four-o'clocks and angels' trumpets, their fragrance would attract night pollinators. I'm not great with brugs, but I do well with clematis. I wonder if there will be enough sunlight for a clem. I noticed white grasses in the English gardens, and thought of the sound they would make with a breeze running through; swishing sounds that only grass and breezes can create. I have a few sprigs of Granny Laura's white grass, it might work. And artemisia, I have some that came from my friend in Nashville. Already I have the remains of the old magnolia that used to grow too close to my house. 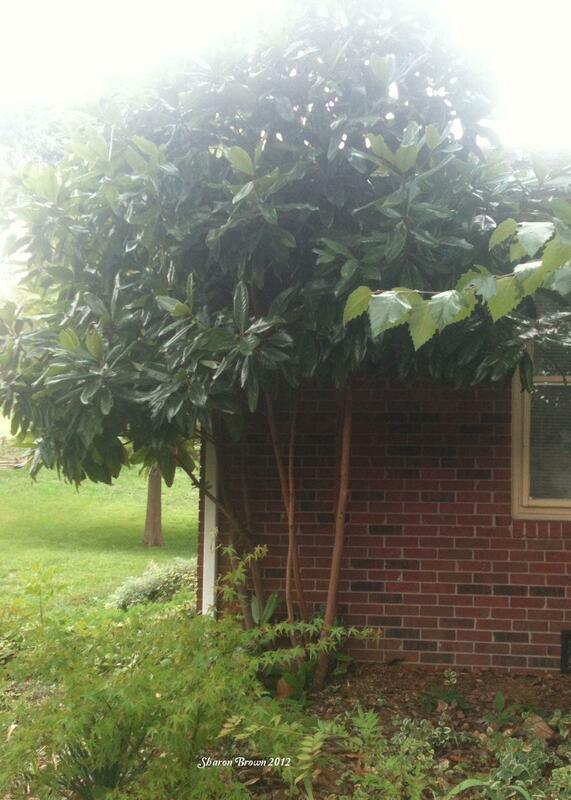 I had the tree cutters leave a very low stump when they removed the magnolia and from it now grows three or four tall narrow branches, neither of which has bloomed in the past 6 years, but the leather like foliage does rustle in the breeze. It will be a good backdrop. 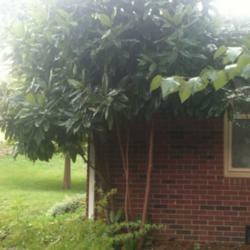 I think a moonflower vine will weave itself nicely through the branches and leaves. I happen to have a few seeds. There is the remotest possibility that I could move my New Dawn to the base of the magnolia and let it grow up the branches instead. Something to think about because it's scented as well. At the moment it's still holding hands with the wisteria in the back yard. I'm thinking now of adding Lambs' ears and maybe an herb or two. 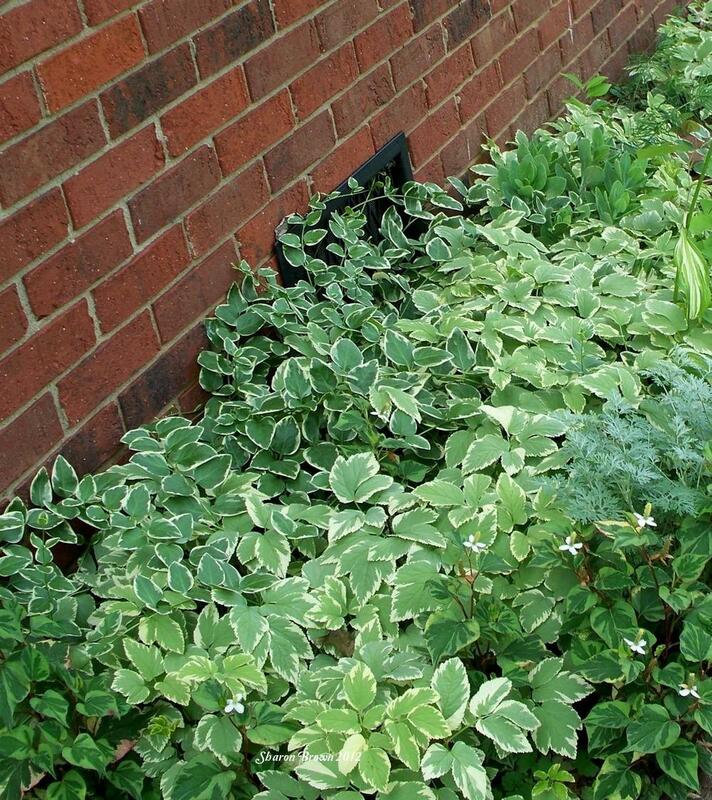 Pots of white coleus would be striking as well. The lacy foliage of cilantro would be good, perhaps a pot of rosemary, but I don't like to have herbs too far from my kitchen door, though the thought of having those scents in a moon garden is appealing. 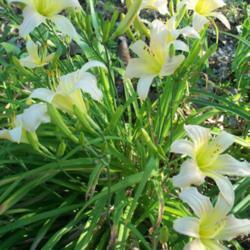 Maybe the Russian sage along with lavender is all I need, and the white lily Polly sent me. 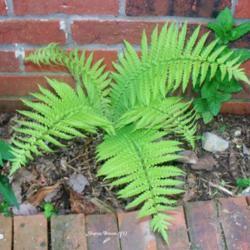 And ferns! There's enough shade for them and they would be a great addition. What a messy profusion of possibilities to start with. But oh what fun to try! I'll let you know what happens next season when it grows and blooms. Right now, only the clearing and the planting has begun. I really wish I'd thought of this plan years ago. White daffodils, white daylilies, white irises, moonflower bush seeds, white variegated hosta, Russian sage, Artemesia, ferns, chameleon plant, liriope muscari, New Dawn rose, lilium, rosemary, lavender, an established low lacy Japanese maple, an old blue bench and a ton of determination. Wish me luck! And maybe you can be thinking of a garden makeover of your own.